Jeffer Mangels Butler & Mitchell LLP (JMBM) is proud to announce it has been ranked as an Orange County Metropolitan Tier 1 2019 “Best Law Firm” for Patent Litigation. This distinction was announced by the national publication U.S. News & World Report. 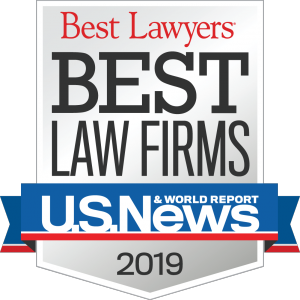 The “Best Law Firms” annual announcement of the top rankings of law firms are based upon client input and professional references. Additionally, Gregory Cordrey, a partner in JMBM’s Patent Litigation Group was designated by Best Lawyers® as Orange County’s Patent Litigator of the Year for 2019. According to the district court, Lipton became a one-fifth owner of GemShares in 2013, while the patent application was pending. Lipton executed an operating agreement that included a term requiring him (and other GemShares members) to disclose and present to the company opportunities related to or likely to be competitive with GemShares’ business. In its complaint, GemShares alleged that in the fall of 2013, Lipton secretly started working on a business that GemShares alleged is a competing business (SWW). Lipton allegedly created SWW to commercialize products and services that infringe GemShares’ patents, including the patent-in-suit. In this patent infringement case, Plaintiff and Counter-defendant Bal Seal Engineering, Inc. (“Bal Seal”) filed a joint stipulation pursuant to Local 37-2 moving to compel Defendant and Counterclaimant Nelson Products, Inc. (“NPI”) to provide further responses to Bal Seal’s Interrogatories. These included contention interrogatories (the “Contention Interrogatories”) seeking “all facts” supporting allegations in NPI’s Second Amended Answer and Counterclaims (“SACC”). In the joint stipulation, Bal Seal sought to compel responses to twenty interrogatories asking that NPI “state all facts” supporting allegations in its SACC. (Dkt. 129-1 at 11-22 (quoting Contention Interrogatories Nos. 1-11, 16-19, 24-27, and 30).) Bal Seal served the Contention Interrogatories on October 27, 2016 (Nos. 1-11) and May 3, 2017 (Nos. 16-19, 24­27, and 30), yet had received no substantive response as of the Motion’s December 2017 filing (Dkt. 129-3, ¶¶ 4, 8.). 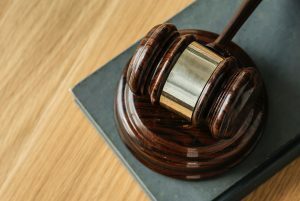 After that analysis, the district court determined that it would join the majority of “district courts in the Ninth Circuit in finding that allegations of knowledge alone are not sufficient to state a claim for willful infringement. See XpertUniverse, Inc. v. Cisco Sys., Inc., No. 17-cv-03848-RS, 2017 WL 4551519, at *6 (N.D. Cal. Oct. 11, 2017) (“Although [plaintiff] has alleged knowledge and continued infringement, it needs to do more to show that [defendant] has engaged in ‘egregious cases of misconduct beyond typical infringement’ that could possibly warrant enhanced damages.” (quoting Halo, 136 S. Ct. at 1935)); Cont’l Circuits, 2017 WL 2651709, at *8 (“The Court continues to conclude that willfulness must be pled, and that allegations of knowledge alone are insufficient.”); Finjan, Inc. v. Cisco Sys. Inc., No. 17-cv-00072-BLF, 2017 WL 2462423, at *5 (N.D. Cal. June 7, 2017) (“[E]ven if [plaintiff] had adequately alleged that [defendant] had pre-suit knowledge of the Asserted Patents, dismissal would also be warranted because the FAC does not contain sufficient factual allegations to make it plausible that [defendant] engaged in ‘egregious’ conduct that would warrant enhanced damages under Halo.”). As a result, the district court granted Lite-On’s motion to dismiss the claims of willful infringement.